When I tell you what The Hunger Games trilogy is about, you might question my judgement. It’s set in a futuristic world where the Capitol reigns supreme over the oppressed Districts 1 to 12. To keep them in their place, each year the Capitol selects two children from each District – one boy and one girl – to compete in an annual reality television show. Their mission: To kill the other contestants. Last child standing wins. Despite this macabre premise, The Hungers Games trilogy – consisting of The Hunger Games, Catching Fire and Mockingjay – is a compelling read with a serious message about war. It’s teen fiction in the same vein as John Marsden’s Tomorrow When The War Began series. 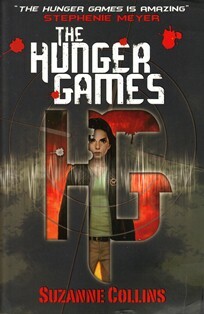 While written for a younger audience, The Hunger Games appeals across age groups. I have a number of friends in their 20s and 30s who devoured all three books at rapid pace. This is partly because it’s an easy read, partly due to the strangely gripping plotline and partly due to author Suzanne Collins’ ability to end chapters with cliffhangers that leave you wanting more. Thank you to Lauren and her sister Sarah for recommending The Hunger Games to me. You can find The Reading Experiment on Facebook here and on Twitter here. Would you like to read The Hunger Games, Catching Fire and Mockingjay by Suzanne Collins?